NOTE: This content is old - Published: Friday, Jul 8th, 2011. TJ Hughes on Henblas Square where the future of jobs remains unclear. The future of several of Wrexham’s high street stores remains in the balance this week. 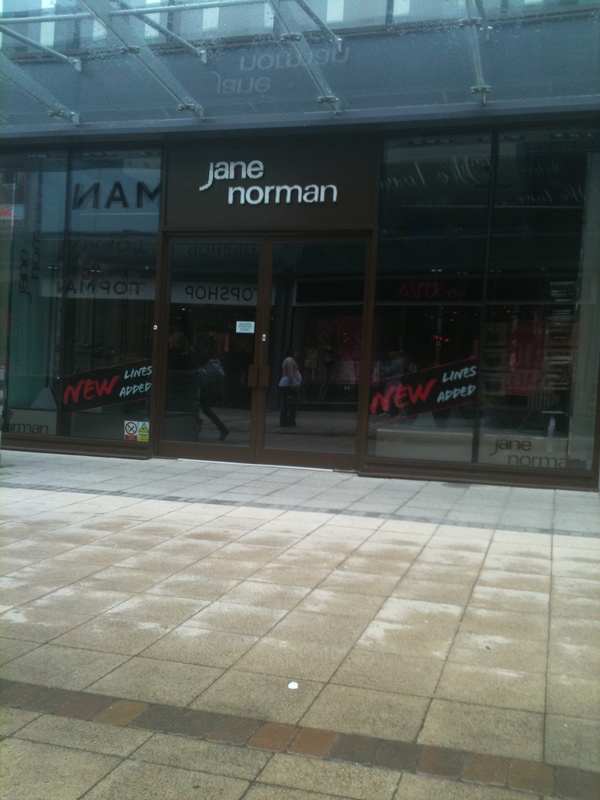 TJ Hughes and Thorntons are both at risk whilst fashion retailer Jane Norman based in Eagles Meadow closed down over a week ago. 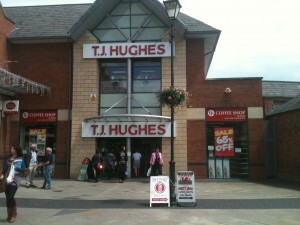 TJ Hughes went into administration last week as the department store chain struggled to cope with falling retail sales. Now the administrators Ernst and Young are selling off stock at all of the branches including the large unit on Henblas Square. Wrexham.com saw a large number of customers buying sale items at the store this week, which is often used by shoppers walking through to the Peoples Market. However, the administrators said that they are still in talks with a number of parties over the sale of the company, which would hopefully prevent any loss of jobs. They added that selling off of stock is standard procedure when a company goes into administration. Meanwhile staff at Thorntons on Hope Street will be fearful of their jobs as the confectionery company announced proposals to close 120 stores. 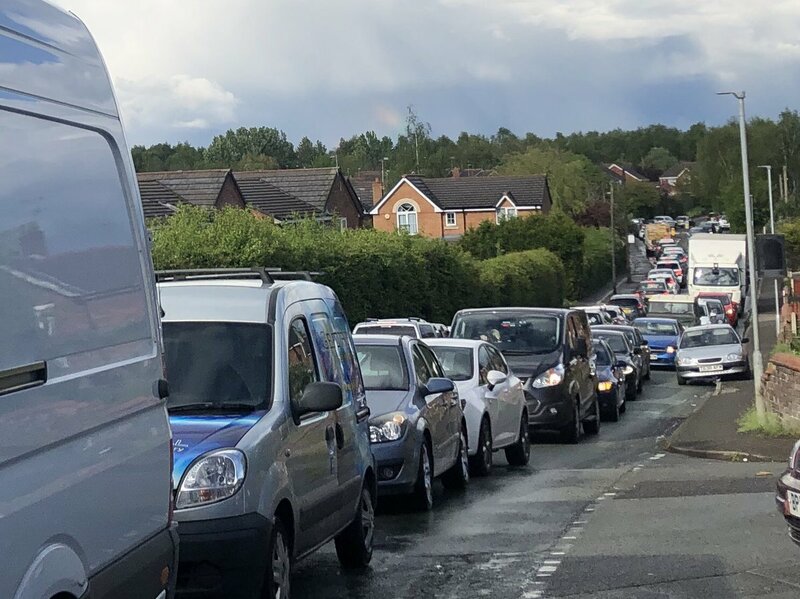 Thorntons are unwilling to discuss the future of specific stores, so it remains unclear as to what fate awaits the Wrexham store. 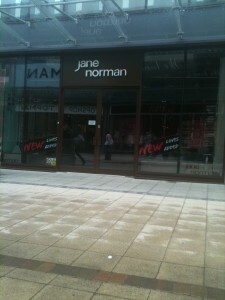 Jane Norman on Eagles Meadow which closed its doors last week. The chain has since been bought by Edinburgh Woollen Mill, but there is no news as yet on whether the Eagles Meadow store will return. Fixtures and fittings had been removed as Wrexham.com went to have a look today. The one bit of good news for the high street is that Poundworld Group owned chain Discount UK has decided to move into the former Woolworths store, creating 40 jobs in the process. The unit had been empty for over 2 years since Woolworths went under in January 2009.